Red and white painted cork cone. Inspired by the small striped cones lining the roads, Lijn began, in 1966, to make her Hiway Cones. The road cones are signals informing drivers of where they must drive and not drive. One has to look at these signals as a form of language. 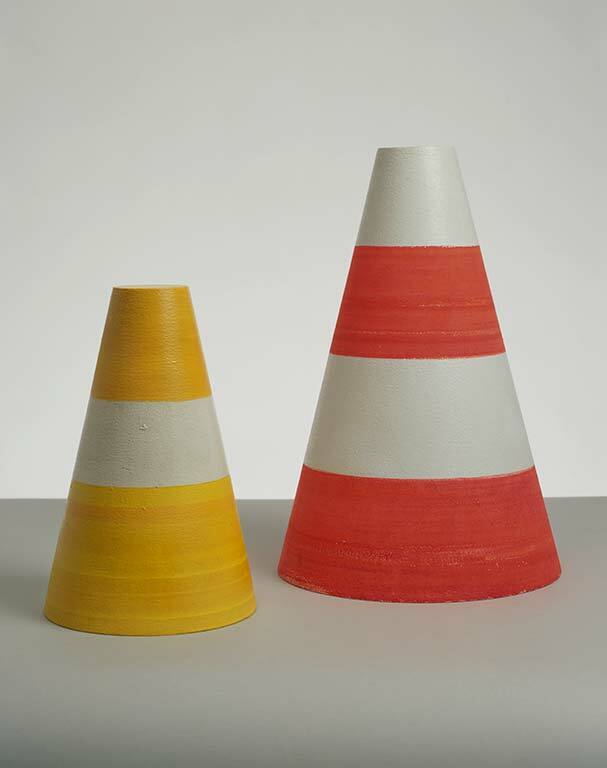 Therefore, Lijn’s use of striped cones can be seen as an alternative to using words. The red and white striped cone was the equivalent of a Poemcon which, when it spun dissolved words into vibrations. Colour is a vibration at a particular frequency of the electromagnetic spectrum.